Honestly, I've only played the actual FL game like, 3 times. I'm sure that if all goes well, they'll drop a few of them in there, but... The EX chars are the more recognizable/beloved chars. It makes sense for them to put the priority on those chars, along with the guest appearance with Terry for some added hype. I mean, they could've developed at least one single character that represents the other game this title originates from. It's like if Capcom someday would say "Hey, let's raise our 3D TAG Fighting fanbase by building up a brand new IP called Rival EX Schools. 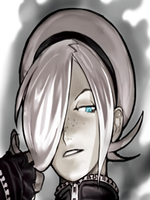 But our starting roster needs to be focused only on 'previous Street Fighter characters whose backstories are related to a school', because they're characters people will feel attracted easier! " I'm pretty much just nitpicking in this post, I know. But seriously, it just feels weird the way it is now. Your post comes off a bit confusing, historically spekaing sfex was not an arika game, but a capcom game; arika got padi by capcom to make a 3d sf game; it had an interesting contract by which they were able to keep the characters they designed for it. Thing is, later on ARIKA developed a arcade game that was published by Namco. In this game called "Fighting Layer", the characters had nothing related to the SF franchise - just like ARIKA's current game, "Fighting EX Layer". In a game in which it's title is technically a upgrade of a past title from a game developed by the same guys, it is weird seeing their decision to initially neglect every stuff from the previous game. Namco in fact got all the rights when publishing the original Fighting Layer, and present's ARIKA don't use stuff from this game because they just can't. They did include some of their SFEX characters in it. 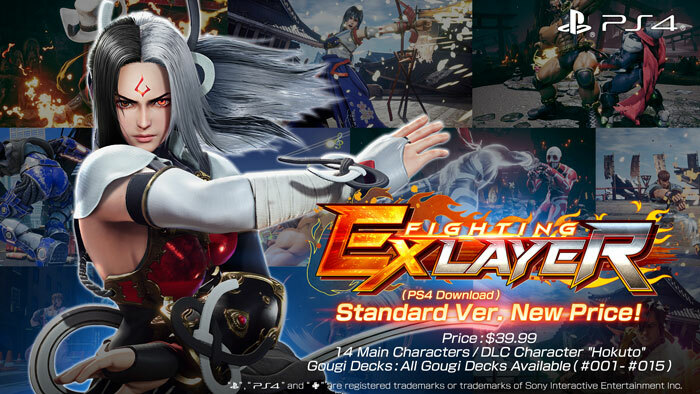 fighting Layer is basically the fighting game that has their characters, and this FEXL game is exactly that. Unless... Namco in fact got all the rights when publishing the original Fighting Layer, and today ARIKA don't use stuff from this game because they just can't. That's extremely unlikely, and in fact, Namco even helped them out when Arika made FEXL. They gave them advice and possibly direct help (and maybe even money), probably on Unreal Engine 4, because at first the FEXL renders looked a lot like Tekken characters. I was under the impression that the Tekken team handed them the engine to use and they only created the characters. They made a PoC and people jumped on it. They probably did some minor engine tweaking to get the dash in's going and all that. Yup, my previous post was trying to reiterate that. 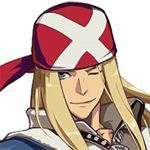 FL was a ARIKA game that featured only their original chars, and so is FEXL. That fact alone is why it feels weird (to me anyway) to wait this long to make a single reference to the original Fighting Layer, in a game called Fighting EX Layer! That's it, I hopefully won't come up with more confusing complaints about this game. 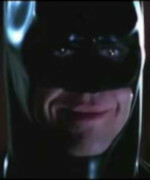 They released Pullum and Rosso today. I hit the lab with them both for like an half hour. Feels pretty good. I was never much of a Pullum player though. While Rosso, I just used for fun from time to time. Pullum has different walk back/fwd animations. I didn't actually look in Rosso's case, but I'll assume he does as well. This is kinda a big deal, cause it gives them more individual personality. As opposed to everyone having the same anims. I thought Terry would be there too... But no. I guess he may come later this month(hopefully)? I don't have the time during the week, but on the weekend, I plan to practice with them more. Along with getting in some online matches with them. Sorry about bumping this thread, but Arika released a schedule for FEXL for 2019 up until May. In summary, as for when the remaining characters are going to come out (Sharon Area and Terry), they plan to release 2 characters for free and the other as paid DLC. Also some footage of Sharon being shown in the video. Edit: Forgot to mention that the first free character will be planned to be released in late March. With Blair looking more modest in this game, I thought they would do the same with Sharon, glad they didn't tho, she looks amazing. Expected that Terry will be paid content. Sharon do look neat tho. Looks like the game is getting exciting again. I just got smash, but I still throw on fexl when the ps4 title updates. I like it but the people I play with prefer SFV for some crazy reason. The PS4 version of Fighting EX Layer has received a price reduction as shown above (for all regions). Additionally, the Light Version of the game on PS4 will also no longer be sold. The game is now sold as the Standard Version with all Characters and all Gougi Decks. For those who have bought the Light Version, The DLC for that version (Hokuto and Additional Gougi Decks) have now been made significantly cheaper for people to catch up to the Standard Version of the Game. I've been playing D. Dark and Sanane and I love them. I have also been learning Shadowgeist but I cant hit his command grab consistently. As for myself, I've been having fun with Garuda's new buff to one of his special moves in the latest update that was released several days ago this week. I am also taking my time getting used to the changes made to jumping attacks and cross-ups. Overall, I am looking forward to see what other changes and adjustments Arika will make for future updates. I am also loving the new music tracks they have added to the game in this update as well. They give the stages that they are associated with a more distinct feeling compared to before. Both Sharon and Terry will be released on this update, with the latter being a paid DLC character ($4.99). Sorry about the triple post. Arika posted a video today about a delay in their character release schedule. Area has been revealed, but due to the delay that was announced, they are planning for a June/July release but do not have a definitive date at the moment.